This week, I chose to discuss strategies for integrating technology into music and art curriculum. There are many really great ways to integrate technology into music and art instruction these days, and few classes actually use them. 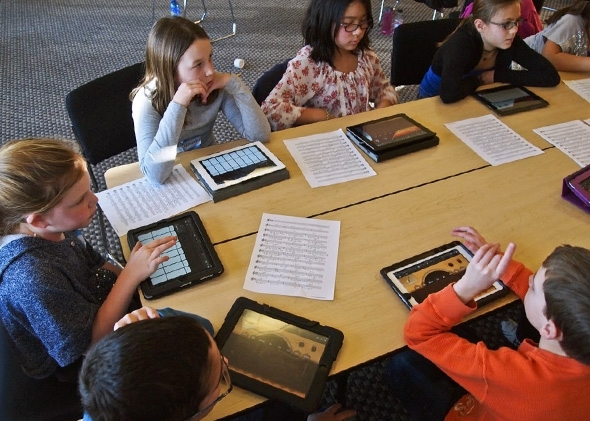 Students can use programs like Garage Band made by Apple to record their own musical creations. Electronic keyboard lab can also be used to build students’ skills in music theory and harmony. Tutorials for music fundamentals can be taught through software such as Practica Musica as well. All of these programs and many more can make for a well rounded music learner and develop an appreciation for music and the arts. In the art curriculum, children can take virtual field trips to art museums that they would not be able to gain access to otherwise. Students can also create online portfolios to create their products. They can use iMovie or Windows Movie Maker to create videos, slideshows of their artwork and music videos. As for teachers, there are websites that allow teachers to create short videos on art concepts for students to view, as well as the Movie Maker I previously mentioned. These avenues of technology integration will help children and students become familiar with everything technology has to offer as well as enhance their learning environments. 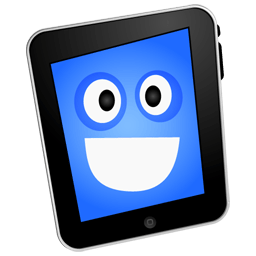 One of the problems involving technology in Special Education is the need for trained personnel to help with this technology. Most teachers begin their careers with little to no knowledge about how to use all of this technology to better their careers and experiences. Another issue is that although schools have adopted inclusion classrooms, which allow students with special needs to join the class for instruction, their involvement is sometimes still very limited. Without the proper support and modifications, students cannot do activities or participate in projects the same way everyone else does. There is a desperate need for assistive technology to help these children succeed in an inclusion classroom. Web accessibility is also a problem for those who are in the special education class. There have been more efforts made to make websites who can be used by people with many different disabilities, but there is still a long way to go in this area. Integrating technology for the Special Education classroom can be tricky, but so effective when used correctly. For those with mild cognitive disabilities, text to speech programs, word prediction software and games can be used for different subject areas. For those with physical disabilities, alternate access to computer hardware can be adapted, as well as making sure that the child is taught what to do and then observed while they are using computers. Students with sensory disabilities, such as blindness can use text to Braille or canes and sensor technology. Those who are visually impaired can use built in screen magnifiers, and those who are hearing impaired can use an assistive technology device called FM amplification. For at-risk students, websites that provide learning opportunities in the form of games or motivational videos. They can also use websites with games that provide immediate feedback on performance to build self esteem. For students who are gifted, providing tools that will encourage self-research, multimedia presentations or webpage design will help those students engage in activities more to his or her level of cognitive function. I did not realize there were so many ways to integrate technology into music and art. You brought up a lot of interesting websites that can be used for music and art. At the school that I work at, we have a music and art teacher, so the students actually go to a different class for music and art so I never really thought about music and art for the classroom teacher. I see now that there are a lot of good websites to go to and use to integrate technology in the classroom. This will be good information for thematic units when you want to integrate different subjects into your lesson. We can use these websites to enhance our lesson. I can also share this information with my music and art teachers so that they will know what is available to them. Since they have been teaching for a while, they might not know what is out there to help them. As far as special education, I know there are a lot of issues facing technology in the special education classroom. I believe school districts need to face these issues and spend a little more time and money finding ways to make our specials education classes better. Since the technology is available, teachers need to be more educated and schools need to spend more money to get these resources into the classroom. We need to do whatever it takes to make learning easier for students with disabilities. I enjoyed your ideas of integrating technology into music and art! I think these are great ideas to use across the curriculum as well, and students can actually incorporate music and art into different subject areas to enhance the overall learning experience. The idea of creating slideshows and movies is a nice way to also showcase work and learned information. Thanks for sharing. You made a great point about students needing support for information taught through technology. As you stated, some teachers are probably unaware of what resources are available to assist students in the classroom. It is imperative for teachers to understand the where’s and how-to’s of taking advantage of these types of assisted learning devices. Some of the website and resource information listed in the textbook were completely news to me. I think it is so important to learn where and how to gain access to this type of technology to enable and encourage student learning. You did an awesome job on this one! I enjoyed your ideas. Movies and Slideshows can help students understand things better. Not every child can learn the same so having various options of learning styles can help students a lot. Great reflection Regi! I am a big fan of music. It was my minor for a long time. I plan on incorporating it in my classroom. We use it a lot with out kinder class. There are songs for every aspect of the classroom! Great post.